I was also taken to see a rather special place run by a couple called Vilda and Pepe. It also formed part of this network of sustainable food growing. This exceptional couple had managed to convert their small back garden into a piece of land containing fruit and nut trees, medicinal and special plants to deter pests as well as fodder food for pigs and chickens. Vilda showed me around her amazing small office and school garden. She and Pepe have been working for a number of years and have lectured and published many books on the subject of natural preservation. Vilda showed me how to dry turmeric and ginger in meshed frames and how they had built a south facing frame from metal bars that could hold drying peppers and other spices at a 45 degree angle to the sun. She told me the the ingredients in the spices get more concentrated as they dried making them even more nutritious. The turmeric had been washed and cut up into small pieces. This was also being done to chili peppers which were then ground to a fine powder. There were jars and bottles everywhere full of vinegars with different vegetables and books showing preservation techniques using salt, sugar, vinegar, oil, fermentation and the sun. Their books were both detailed and scientific. They gave details on the percentage of water in food as well as food bacterial types and the temperatures at which these various microorganisms could be killed. Vilda and Pepe have also developed a school garden which was across the road. There they grew herbs such as fennel, American mint, oregano, rosemary and other less well known species such as Tilo and Malanga. This later plant has huge leaves and is easy to grow but is expensive to buy. They also grew plants that deterred pests of which Vilda made an interesting observation: plants with white flowers deter the cabbage white from destroying brassiccas if they are planted close by. Vilda had also planted mulberry trees on the roadside and a bearberry cherry tree which she mentioned having the most vitamins of any fruit. She was delighted that the children picked these on the way to school! This garden was small but full of trees, shrubs, herbs, and other useful plants. It also had sculptures on display. Many of the plants were edible or had other uses. The garden had been planted eighty years ago by an old man. His two daughters had continued his work but were now too old to continue and other people had taken over the job of showing tourists around and explaining the function of each plant. Most of the plants were tropical but it was interesting to see just how much could be grown in such a small space. There were also pigs and hens and the whole resulted in a completely self sufficient garden. 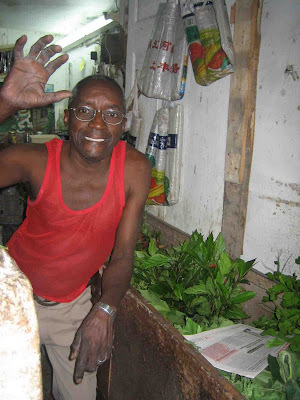 In the very centre of Havana I happened upon a tiny herbalist’s shop tucked under the stairway of a block of flats. The owner seemed incredibly knowledgeable and people were continually walking past and asking him for some herb or other to treat their ailments. His customers seemed to trust him and he was obviously well liked. He also had drawers full of powdered herbs some which he gave out on prescription. 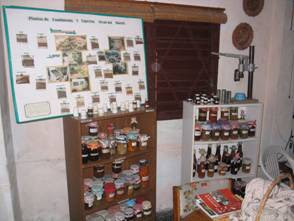 Herbal medicine is popular in the island not only because of the lack of conventional medicines, but also because of the religion of ‘Santeria’ which is practiced by many Cubans. Many people I spoke to knew what part of the body particular plants were good for. Some of the more common medicinal plants are Passiflora and Maria for nerves, Romerio for the throat, and Artemisis for rheumatism. 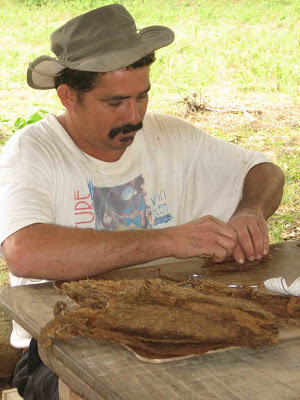 Many local farmers around Vinales grow the best tobacco in Cuba. Most of this is graded and sold to the government and what is left over is sold by the farmer for a small profit. 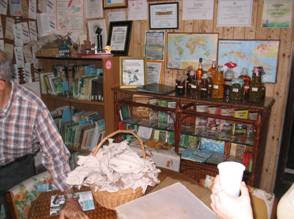 The farmer or ‘campesino’ that I met was rolling his own tobacco and selling the cigars individually. He told me that many growers could sustain themselves with this extra income especially from tourism. Since my return I have written an article for ‘Reforesting Scotland’ and I am in the process of linking up children in East Lothian with children in Havana so that they can swap ideas about food growing. So I am already well on the way to putting my experiences into practice. However, having been back for a few weeks and having reflected fully on what I saw I have to say that Cuba really gets under my skin. It’s as if I had witnessed the future in a sense, the future we are all going to have to face when we can no longer rely on fossil fuels to support our massively technological agricultural system which we in the West and elsewhere depend upon for our food. 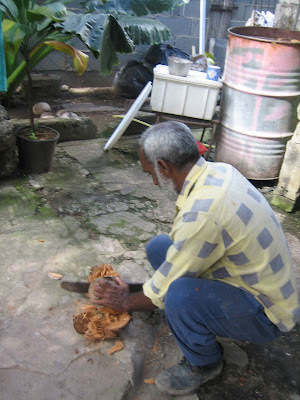 With hindsight I really think that what I witnessed on this Caribbean island is very important. What has been achieved in what is fundamentally a poor country is nothing short of a miracle. The more I read the more I am surprised at how the Cubans have managed to feed themselves. They certainly have many lessons to teach the rest of the world on sustainability. If the industrialized world fail on sustainability despite government intervention, charities and voluntary organizations such as the one I work for or in other areas of life then I really think we are going to suffer the consequences both financially and socially. Cubans have learnt to adapt and have become overwhelmingly resourceful. They have used their traditions and scientific capabilities to become self-sufficient in all the food, herbs and medicines that they need. All of this is done by and for the community albeit with governmental aid. The people were tolerant and helpful not just with me but with each other and I was often told that even if it was not all that much, no one went wanting in Cuba. I also learnt how much can be achieved with very little equipment. I will take what I have seen and learnt and will try to apply it to my work. I will also try to be more tolerant in the face of a persistent lack of funding, resources and time and will try to work around ways of achieving whatever I need to do in the places I work in. I will also attempt to enlarge the learning experience of the children I teach. In the final analysis they should learn from the way in which they are taught just as much as from the lessons themselves. If my teaching can achieve something that will instill hope, enthusiasm and a sense of enjoyment then what I teach may be remembered for what it is. All the Cubans I met seemed quite relaxed in the face of adversity and chaos and that has been the most confusing aspect of my trip. It is only now and in months to come that I will be able to appreciate just how clever they have been at solving their problems. They are not just knowledgeable about the exact size and space to raise a bed for maximum yield. They also seem to behave and live communally not just efficiently but with considerable enjoyment and satisfaction. I just looked at your blog here. 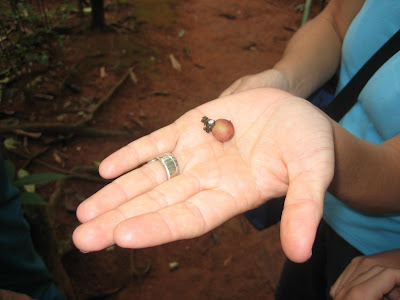 I'm also interested in learning more about Cuba and their growing methods. I started a business this year that uses some of the Cuban techniques. We grow all of our vegetables in the city (Portland, OR, US). You can see some of what we're doing here: www.citygardenfarms.com. Please get in touch with me, I'd love to hear more about your trip to Cuba. I'm interested in doing the same.